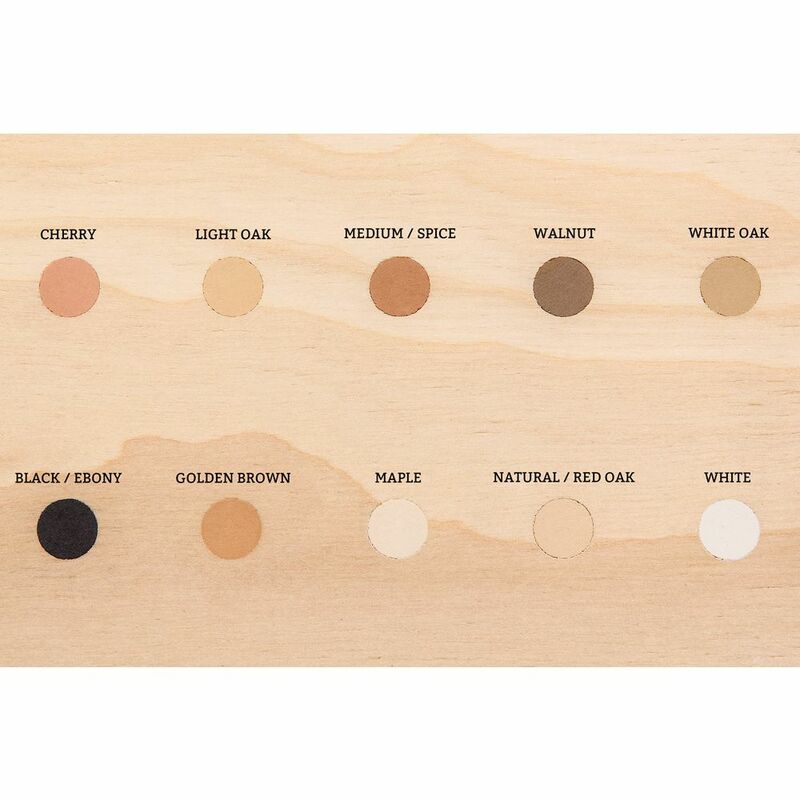 Choose from eight wood tones plus white and black. Dual-purpose filler for everything from nail holes to wood grain. Versatile Wunderfil™ works great on both finished and unfinished wood. Use full strength for holes or thin with water for filling open grained woods. A water-based, stainable formula makes cleanup a snap! Dual-purpose filler for everything from nail holes to wood grain. 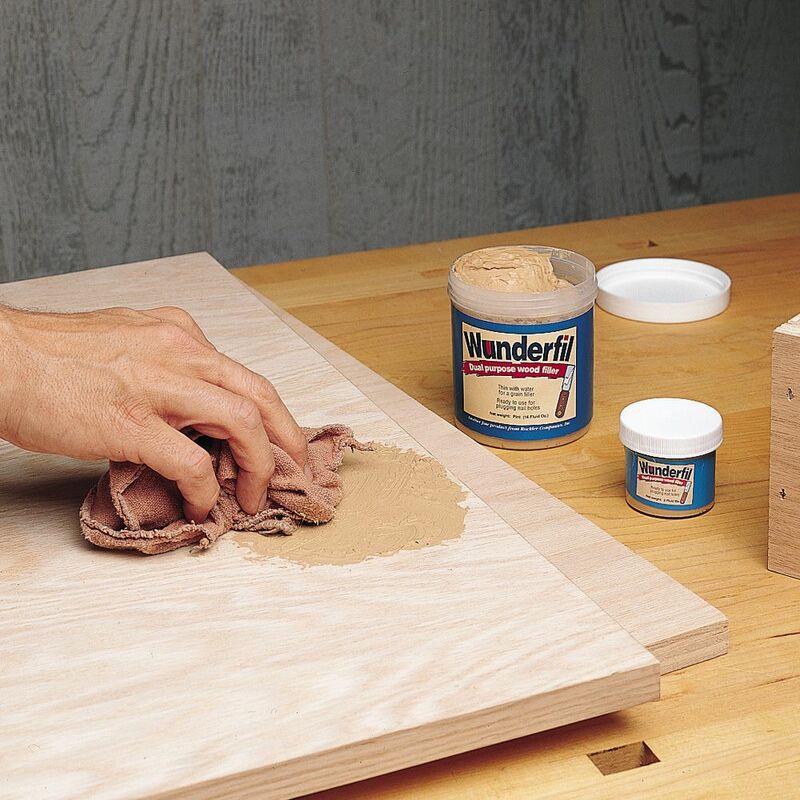 Versatile Wunderfil™ works great on both finished and unfinished wood. Use full strength for holes or thin with water for filling open grained woods. A water-based, stainable formula makes cleanup a snap! Original Natural Oak Wunderfil is also available in pint and quart sizes separately. (1) Wunderfil Wood Filler, 8 oz. Keep out of reach of children. CAUTION: Avoid breathing sanding dust. Use and OSHA-approved dust mask. Contains silica. Do not ingest. 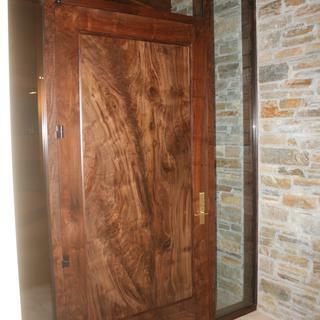 Solved problem of excessively dark red oak grain. Patrick Jones, Manager at the Altamonte Springs, FL provided excellent instruction on how to use and the results are a significant improvement: my test sample came out beautifully as the grain was nowhere near as dark after staining. Even though I chose the wrong color for Red Oak, it was useful on two other projects that are paint overs. “The customer gets what they ask for.” But this filler doesn’t dry up as fast a the Minwax stuff, and is easier to work with. I will definitely buy more. Big Al. Best wood filler I've come across. Easy to apply, dries fast and finishes well. I love the way the Wunderfil filled grain and sanded. It dried really fast (1 1/2 min) so I had to seal small areas at a time. 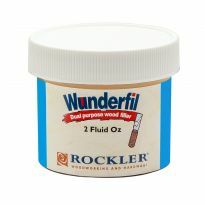 Wunderfil's ability to fill deeper pores and tearouts was superior to the other grain fillers I tested. I thinned with water to the consistency of heavy cream to fill grain. Wish it came in black, I used universal dye to dye it jet black, over a vinyl sealer, so my pores would be black. Wunderfil sealed the grain beyond 90% and the neck (mahogany guitar neck) is more or less smooth like glass. I will continue to use Wunderfil. 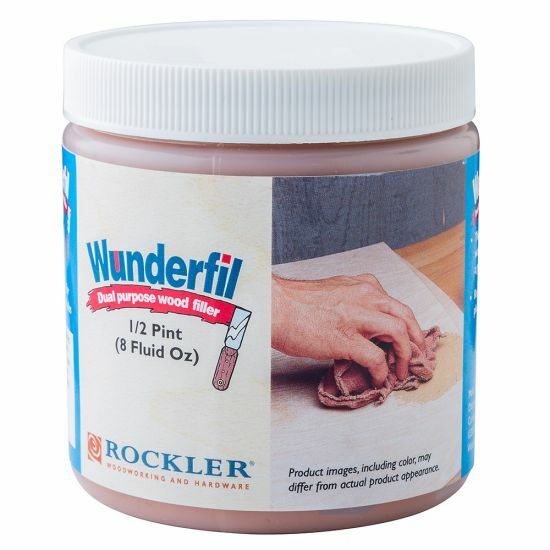 Having had issues with Aquacoat turning white inside the pores of mahogany (probably my fault, but unsure) , I dug out a jar of Wunderfil (water based ) I bought from Rockler at least 10 years ago. After a stirring session (20 minutes maybe) I tried it on a test panel, and it was good. Very amazing. You have to stir this product folks, and its not the like stirring a cake mix, it takes a lot of time and effort. I dyed it black (took LOTS of black dye) and tried THAT combination on the test panel, and it was good. After a nice coat of vinyl sealer, I grain filled the mahogany, which had been stripped. The water-thinned and dyed Wunderfil grain filler worked marvelously. Used 2 applications. After the 2nd fill was applied, I bagged my filler cup in saran wrap so it might be good the next day. Next morning, the filler was still usable, so I did a spot fill of a small but nasty little grain tear out and two DEEP long grains, and they filled famously. Sanded the whole affair lightly and carefully with 320 fre-cut (I used dye on the bare wood as the stripper bleached it out a little) . The filled mahogany looks like I envisioned it looking, with the pores black from the dye. Easy to work with. I was worried about applying the stain but it turned out great. I have used other type and brand wood filler. None is as good as Wunderfil. I have used it for over 20 years. 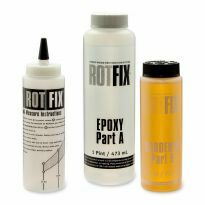 This filler dries quickly and is easy to sand. Colors are close to any wood you are working with. Excellent product. Beautiful smooth consistency that allows filling cracks to be effortless. Product can be sanded and stained to match woodwork. Highly recommend. A+ product to recommend to all who will listen. Goes on smooth, sands easily, and has a forever shelf life. Helped give a nice smooth finish to a turned oak project. Great, dries quickly, very sandable. Love It Very easy to use. 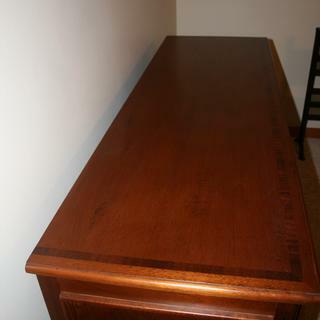 Used it over prestain and also accepts stain as good as unfilled prestained wood. this product did what i wanted to do, and was easy to work with, i've even recommended it to a friend. Fills and sands beautifully . A very good product !!! This is great stuff! 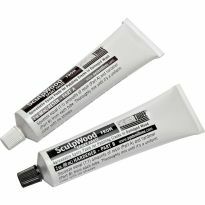 Have used on many projects. Easy to work with and when stained, blends in with wood. Used as a pore filler for a red oak table top. Did the job well, and blended perfectly. Stained well too. Would recommend and will use again. 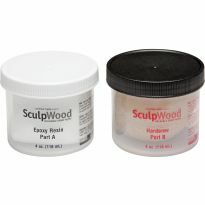 I make jewelry boxes and wood filler is something I use on most of my projects. This product is very good. I have used the natural oak filler on multiple projects over the last couple of years. This is one product that definitely lives up to its advertised capabilities. I used this to fill some small areas of tearout on natural maple which I finished unstained. It looks great and is virtually undetecteble. Just received the first container of this wood filler. it flows on, dries rapidly and machines easily. Easy to apply, holds volume well, good stain uptake. I recommend it. Stains slightly lighter than the color of the cherry I had but is an excellent filler. Dries quickly and fills deep holes easily. I was not happy with this wood putty due to its moisture content. It caused the plywood I used it on to delaminate. Just doesn't dry as fast. very disappointed. I will never buy another can of this filler. Want to try; never used this product. This is, by far, the best woodgrain filler I have ever used. 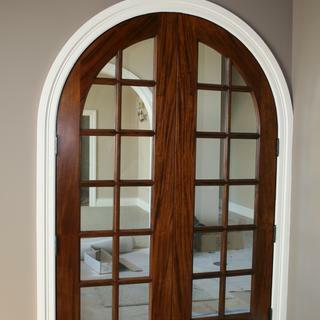 It is inexpensive, water thinable, and leaves a mirror finish on oak. This is the best wood filler I've ever used. It dries quickly, has low shrinkage, sands smooth and takes a finish so well you won't know it's there. I tried some other brands to avoid shipping after I moved, but nothing compares. i have used it before and it worked great. Matches and stains well, sands easy. To see if it's any better than the product I currently use, need a bunch for the workbench I'm building. It is a great filler that does not stain the wood area around where you are filling, is easily sanded, takes stain well, and is easy to sue. To use as described intent. Seems thus far, to do the trick. Fill hairline gap in tabletop glue up. I need a water based grain filler for a small oak table top. My old filler dried out in the can. Wanted to try this. it's a smaller size container; less chance of waste an drying out. This is my favorite filler and don't want to be with out. All the reviews I read indicate this would be the best product to use on the project I am working on. Let's hope so. I have lots of cherry wood that I milled myself. It is not perfect, so I need some filler that matches the color. The current filler I am using doesn't do a great match and I touch it up with stain. I hope this solves the problem. No other wood filler works like Wunderfil. I have tried several others that were recommended, but always come back to and prefer Wunderfil. 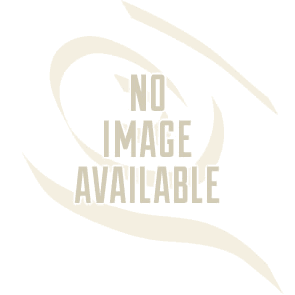 I have used this product for many years and it is excellent! Have used previously. Very user friendly application, fills nicely. I saw someone using the product and thought I would give it a try. I am a big DIY girl. Great product recommended giving it a try. where is the "black ebony" filler? Didn't you have this at one time? I had to buy black dye, and it took about 1 to 3 by volume, dye to filler. That was a lot of dye. 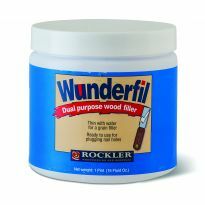 If you use Wonderfil on raw wood then go over it with a water-based dye stain like GF’s, will the Wonderfil dissolve or pull up? BEST ANSWER: I often use a wet rag or sponge to remove excess wonderfil after it has dried, I'd think that it would loosen up if you rub too long or hard. If you just allow the dye to soak in and dry, it should be fine. We use this fill under miniwax water based stains and it doesn't pull up or dissolve but is a slightly different color depending on the stain used over it. Much obliged Sarah! I’m building a drum set from raw maple shells, and want as smooth a base for top coating as possible. Using GF Pewter (darker, warm grey) water-based dye stain, and Wonderfil has been terrific with everything else so far. Your answer is very helpful! 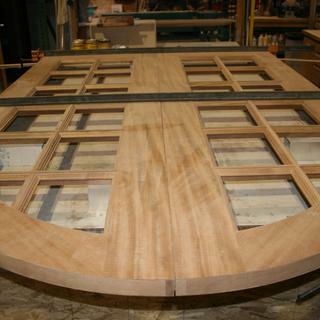 I am painting oak veneer hollow core doors and is like to fill the grainy pores. Will this work as far as adhesion? : clean, scuff sand varnished surface, tack off, skim thinned wunderfil, sand smooth, prime with a latex primer, sand smooth, maybe 1 more coat primer, sand, paint with latex paint. My concern is the wunderfil going on first on the scuff sanded varnish. Or should something be put on first to ensure adhesion? BEST ANSWER: I would recommend first using a palm sander to go over the entire door. Use a 200 grit, or higher, sanding disc to avoid burning through the veneer. Then I would apply an oil based primer, such as Zinzer 123. Latex will not adhere to varnish. Apply the primer with a foam roller to get a smooth even layer. Check for remaining grain after the primer dries and sand lightly as necessary by hand using a sanding block and a fine grit sand paper. You can fill minor imperfections with the Wunderfill, but filling the entire door would likely be impractical, as the filler dries quickly and you can only work small areas at a time...and it will likely not adhere well directly to varnish. You should be able to hide the grain with several coats of primer, rolled not brushed, and sanded between coats. You can then apply your latex finish coat over the Zinzer 123. As always, refer to the manufacture's directions on the label for best results. Good luck with your project! Oil (varnish) over water (Wunderfil) is ok but not the other way around. I wouldn't ever put a waterbase anything OVER an oil base; the underlying oil base will never be able to dry. Thank you but you missed the point of my question. It is existing old varnish. Will Wunder-fil hold a screw? BEST ANSWER: This is only for filling holes. I would recommend that you fill the hole with a piece of dowel and then re drill it. Agreed. Wonderfil hasn’t the density to hold a screw. 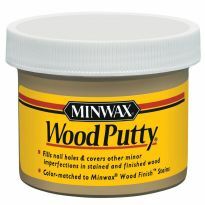 Plastic Wood, or Minwax epoxy-based wood putty will work for small, light jobs. Otherwise, you’ll need to do the dowel trick. Can dye be added to add contrast to grain, while filling pores? BEST ANSWER: Work with just amount you need so as not to mess up the whole jar. . . I have added color to the wood fill. . . Iv'e used sawdust and I've also used a little paint to change up the color. Can't use much, in the form of liquid.. I love this product but over time it dries out and get really hard in the jar. Is there a way to prolong the product? Is there a way to rejuvenate the hardened filler? I have had the same problem. I don't know if you keep yours inside a climate controlled area, but I have found that to help it last a little bit longer. To prolong the product, screw the top on tightly and store upside down so the water/ solvent cant evaporate. We are painting the cabinets in our kitchen and I bought this product to fill the grains in the oak of our drawer fronts. After applying 2 coats and believing the the process was complete I have painted the fronts, sprayed with primer and 2 coats of oil-based paint - but there is still pitting (I assume from not completely filling all grains. Can I lightly sand/scuff the oil-based paint and repeat the filling process, or do I need to completely remove the paint and start over? Thank you. BEST ANSWER: You might consider additional coats of paint. Putting waterbased over oil based is not a great idea unless the oil has dried for 30 days or longer. It should work, but sand pretty heavily. 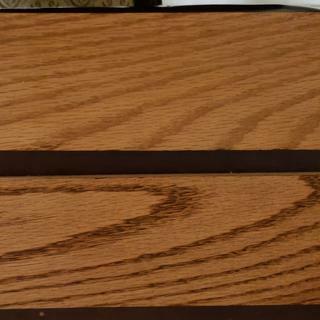 I am using to fill grain in oak cabinets before painting. What is the best way to clean after sanding before coating with sealer? Tack cloth? Afraid to use damp cloth as it seems to dissolve the product. BEST ANSWER: If you grain filled over bare wood, you can vacuum, use naptha (lighter fluid) or odorless mineral spirits to clean before sealer. Another suggestion, if you apply vinyl sanding sealer first, before grain filler, and grain fill over it, the vinyl sealer will partially fill the pores. After the grain filler and wipe down with naptha or mineral spirits, another light wash coat of vinyl sealer will lock in (harden) the Wunderfil grain sealer. A tack cloth works well as well (wear rubber gloves lol). 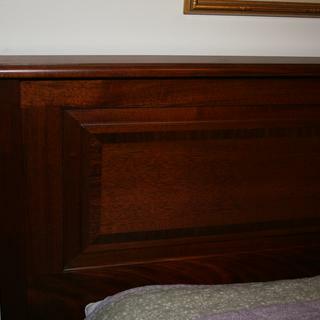 I want to fill the grain in some white oak countertops and then stain them before applying the finish. I am using Kona stain (dark brown). Will the filler stain like the wood or will it show up when stained? BEST ANSWER: Typically from my 20+ yr experience, finishing can be very finicky, I usually choose stains and filler from the same maker. However, if you don't leave any residue on the surface, it should stain and finish pretty well were you won't notice the filler at all. But the best method it to sample it. Take a piece of the oak, do the entire process, and see for your self.